Millions of adolescents lack a safe environment during out-of-school hours, leading to risky behaviors and poor academic performance. 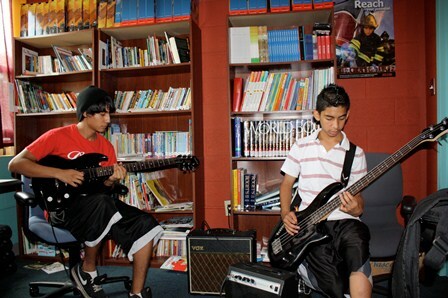 Mattie Rhodes Center offers several programs designed to enhance the personal, interpersonal, artistic, and educational achievement of all youth. Mural Arts Program Inspiring Transformation – The MAPIT program is an innovative program centered on the belief that art has the power to serve as an agent for benevolent social change. The MAPIT program will transform neighborhoods and preserve property by implementing collaborative educational art projects to empower our youth. MRC offers middle and high schools students the “Make Your Mark” program, where students can make a difference in the community and in their life by developing important digital skills, creating multi-media projects impacting the community, making new friends and receiving one-on-one time with mentors. Elementary school children use art, games and other activities to build character development, learn how to have a positive self-image, make good choices, create strategies for dealing with peer pressure and learn about cultures around the world! 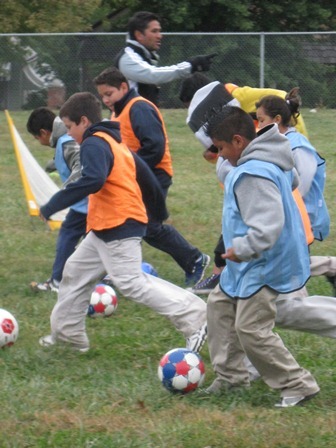 Elementary school students may participate in the nationally recognized Soccer for Success program, a free afterschool program that uses soccer as a tool to address children’s health issues and juvenile delinquency, while promoting healthy lifestyles in urban underserved communities. Check out more info on Soccer for Success here!